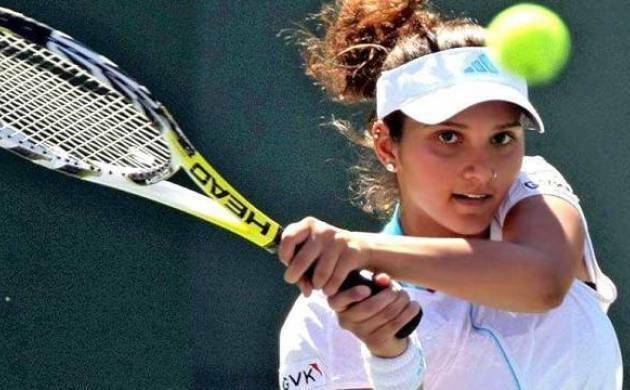 India's Sania Mirza and her Chinese doubles partner Shuai Peng was shown the door of the US Open 2017 after losing 4-6, 4-6 to Martina Hingis-Yung-Jan Chan in the women's doubles semi-final on Saturday. Sania had reached her first Grand Slam semi-final of 2017 season with Peng after edging past Timea Babos and Andrea Hlavackova in the quarters. The fourth seeded Indo-Chinese pair overcame a strong challenge from the fifth seeded Hungarian-Czech combo 7-6(5), 6-4 in the quarter-final which lasted one hour and 56 minutes. Hingis and Chan shall be taking on Lucie Hradecka and Katerina Siniakova in the title clash. Lucie Hradecka and Katerina Siniakova had beaten their fellow Czech Republic countrymates L. Šafářová and B. Strýcová in the semis.